Together, they have taken on the greatest march ever made and come very near to great success; never giving up, and never giving up on each other. This is the story of Robert Falcon Scott's Terra Nova expedition to Antarctica and the memorable characters, who with a band of shaggy ponies and savage dogs, follow a man they trust into the unknown. Battling storms at sea, impenetrable pack ice, maneating whales, crevasses, blizzards, bad food, extreme temperatures, and equal measures of hunger, agony and snow blindness, the team pushes on against all odds. But will the weather hold? Will their rations be adequate? How will they know when they get there? And who invited the Norwegians? 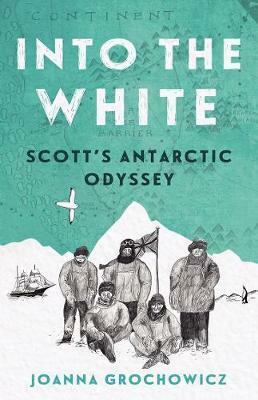 Into the White will leave you on the edge of your seat, hoping against hope that Scott and his men might survive their Antarctic ordeal to tell the tale. Joanna Grochowicz's narrative non-fiction is meticulously researched and compellingly told. By fusing the real and the imagined in her stories of early Antarctic exploration, she reveals the human aspirations and tragedies that have shaped our understanding of what remains an utterly inhuman place. As an Antarctic writer and communicator, Joanna believes strongly that engaging with Antarctic history encourages a deeper connection with a globally significant continent that few will ever visit. While focusing on polar exploration, her ever-popular school sessions guide students in examining the continued importance of resilience, perseverance and curiosity in all human endeavours.